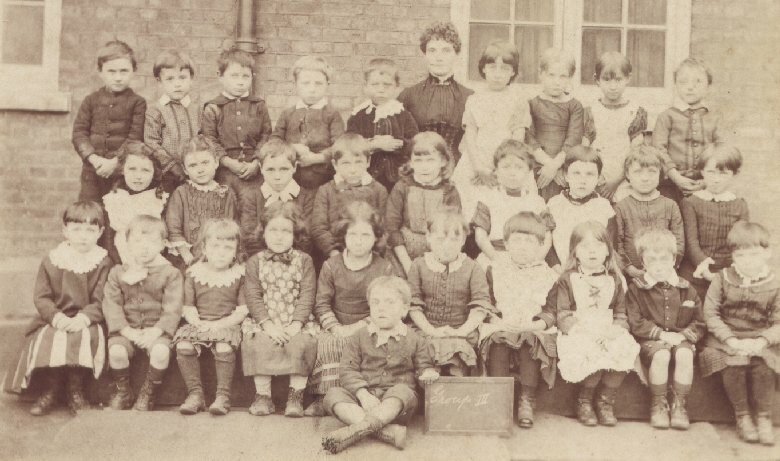 A late Victorian school photo of 'Group III'. This is quite early. The poorer the children, the rarer the photos become. 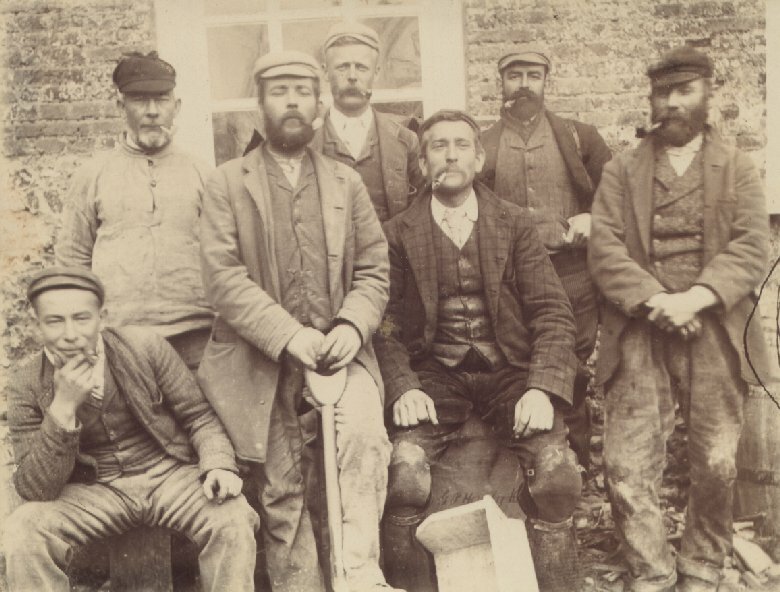 A group of late Victorian workmen, each with a clay pipe. 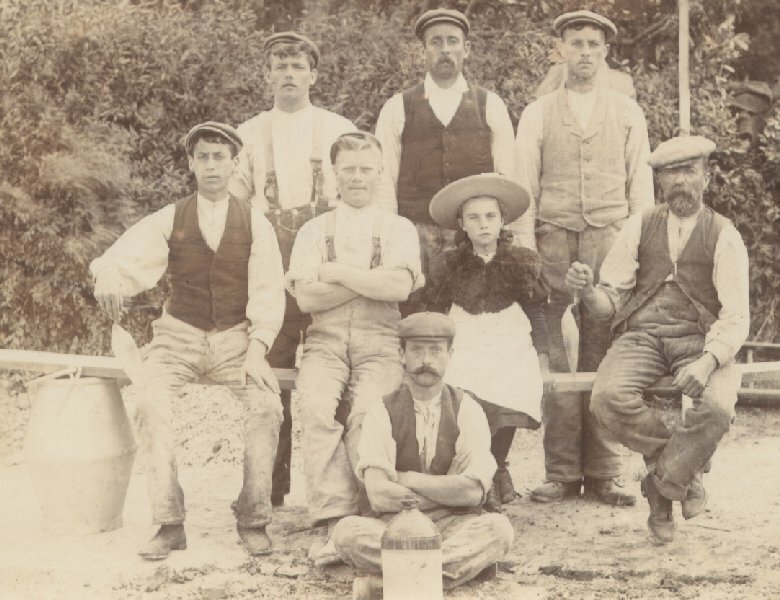 Another group of workmen from about the same period, with a small girl (perhaps the photographer's daughter). 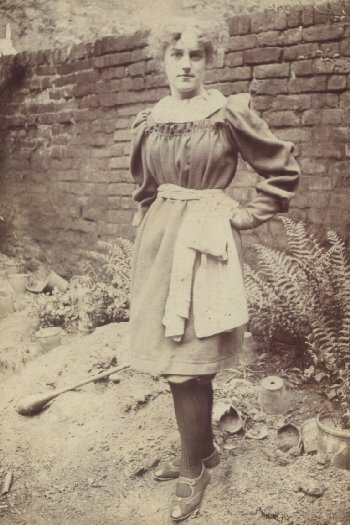 A striking image of a young woman.